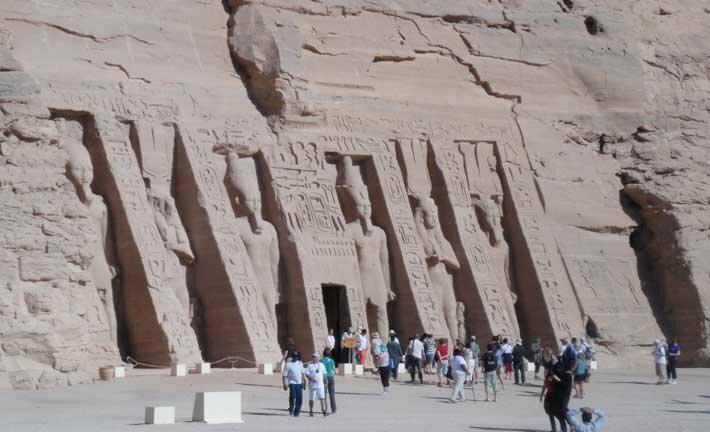 Abu Simbel . . . . .
. . . .This is the temple that Ramesses had his workmen build for his favorite queen, Nefertari. It is testament to the high esteem with which Ramesses held his queen. Rarely is anyone shown at the same scale as the pharaoh, but here we see giant statues of Nefertari equal in stature to that of Ramesses. Ramesses had nick names for his queen, things like “the one for whom the sun shines.” Nefertari died long before Ramesses. In his grief he did an extraordinary thing, he wrote her a love poem on the walls of her burial chamber.
. . . .I find it interesting that Ramesses likeness is shown four times while Nefertiti is only portrayed twice. 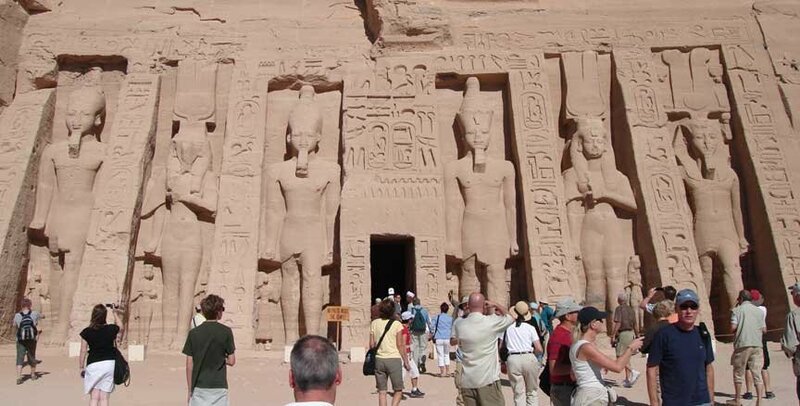 Also notable, Ramesses name dominates the facade, his cartouche is repeated many times.